When you are applying for a job, how you format your cover letter is important because the letter is one of the first impressions you'll make on an employer. In fact, how you format your letter is almost as important as what you write in it. A cover letter that is formatted incorrectly, or is difficult to read, can quickly eliminate you from the pool of candidates, so it's critical to pay just as much attention to the formatting of your letter as to its content. Remember, "formatting" includes factors such as page margins, font type and size, line, paragraph and section spacing, and document type. For example, a letter without the correct spacing between paragraphs, or with too much text on a page, is going to look cluttered, or a letter saved as a file type that is not meant for a text document (such as a .jpg or a .png) may prevent the reader from opening and viewing it. Adhering to typical standards in formatting is especially important considering that communication skills are important in nearly every field, and failing to compose a readable cover letter will certainly not inspire confidence in your abilities. On the other hand, a cover letter that is saved correctly and uses sufficient white space, a simple, reasonably sized font, and an appropriate salutation and closing will make a positive impression on your potential employers. Here's information on cover letter formatting guidelines including setting page margins, choosing a font style and size, paragraph and section spacing, and more tips on how to format cover letters for employment. The next section of your cover letter should describe what you have to offer the employer. Mention specifically how your qualifications match the job you are applying for. Think of this section of the cover letter as where you're making a pitch for your fit as an employee and show what makes you a great candidate. Keep in mind that employers will be more interested in what you can do for them over a list of your work experience. Make the connection between your qualifications and the job requirements clear. Use this section to interpret your resume—don't repeat from it verbatim. The easiest way to format a letter is to write the letter first, then format it. Once you have all the content (contact information, why you are applying and qualified, signature, etc.) on the page, you can then easily adjust the margins, font, and alignment. Here's an overview of each section. Contact Section: How you include your contact information will vary based on how you are sending your cover letter. If you are uploading or mailing a letter, put the information at the top of the page. With an email cover letter, your contact information should be below your signature. Employer Address: How you address the cover letter will depend on how much information you have about the employer. Salutation: A salutation is the greeting you include at the beginning of a cover letter. Here's how to write a salutation, including what to use if you don't have the name of a contact person to list. Body: The body of a cover letter includes the sections where you explain why you are interested in and qualified for the job for which you are applying. Here's what to include in each section or your letter. 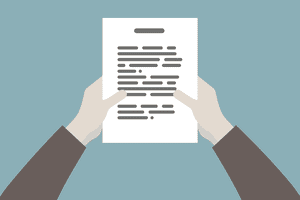 Paragraphs and Bulleted Lists: A more traditional cover letter contains written paragraphs describing your qualifications. Of course, if you have worked in a service industry, it’s best to recount a personal time when you were able to provide service above and beyond what the customer expected. Closings: When you're writing a cover letter or sending an email message to apply for a job it's important to close your cover letter in a professional manner. Here's how to close your letter with class. I wish to apply for the sales position advertised on Monster.com. Terry Johnson suggested that I contact you directly, as we have worked together, and he felt that I would be a good fit with your team. For the past two years I have been working in sales for Goodman & Co.. I have consistently exceeded my targets and I was recognized last quarter for outstanding service. As an avid cyclist and user of many of your products, I'm aware that Acme Corp. is a company with tremendous potential. I am confident that my experience, communication skills, and ability to convey product benefits effectively would enable me to excel in the sales role. I would be delighted to discuss with you how I might be an asset to the Acme Corp. sales team. Thank you for your consideration; I look forward to hearing from you. Also review examples of cover letters for a variety of different types of jobs, types of job seekers, and types of job applications. Then get started writing your cover letter in five easy steps.